ACK!!!!!! 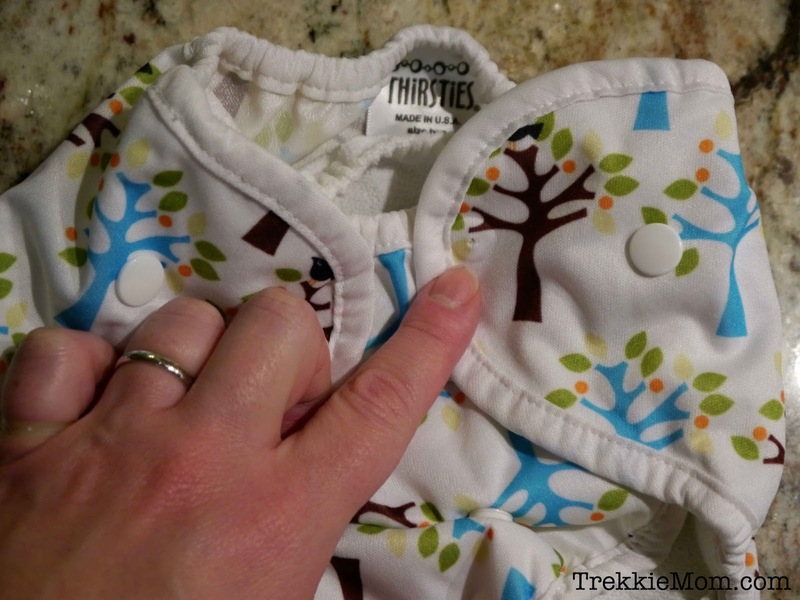 If you cloth diaper, you may be like me and have experienced the devastation of pulling out your cloth diapers after a wash and discovering one of the snaps has expired in its loyal service of keeping poop and pee from exploding. While I was cloth diapering my second son (2011), it happened to me. All I could think about was $18-$20 (depending on what diaper you bought) that was wasted, UNTIL, I did a search on the internet on how to repair a cloth diaper. I found a very helpful youtube video, in which the lovely cloth diapering mama, not only showed me how to replace the snap but also showed me not to be afraid to do so. She also provided a URL to the snap setter and snaps that she used from Kamsnaps.com. For just under $20, I would be able to replace any snap that decided it was done working with poop. They even have free shipping, if you spend enough. My daughter's room is the smallest of our 3 bedrooms, and with a single bed, crib and dresser/change table, there just wasn't any space for a bookshelf. Well before my daughter joined our family, I had decided that I wanted to build a flat bookshelf like the one I had already built for my boys' room. 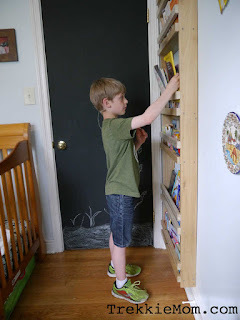 While similar in many ways, the space behind the door in my daughter's room was a bit larger, so I made the bookshelf deeper by using 1x4's by the side rails instead of 1x3's. I also changed up my materials list a bit to save a little cash, and I had learned a few things while building my first bookshelf that I put to good use on this project. My son saw the rubber band bracelet that my niece made for her Uncle's (my husband's) birthday and wanted to make one too. The problem at the time was that my husband's birthday is about a week before our 3rd child was born. There are now 3 in our family of 5 with a birthday in September, my husband, my second son, and my new daughter. Who would have thought? To make a long story a little longer, my son kept asking (badgering really) to make a rubber band bracelet, day after day. Being a new mom and so tired I felt drunk, my usually fairly frugal self, would have been satisfied to just buy one of their looms, already! Unfortunately, during my weekly sleep walk through Walmart food buying trip, I could find the rubber bands but not the stinking loom. When the birth of my third child was looming I made several cribs sheets especially for her and a few friends who were also expecting, and I was left with tons of 8 inch x 8 inch squares of perfectly good fabric. I couldn't think what I could make with them, but I also couldn't bear to throw away such good fabric. This is a question I ask myself a lot, and usually, I have too many ideas - more often than not my ideas require me to buy something new. Well, not this time. My good friend Margaret gave me several yards of yellow terry cloth a while ago, and BAM! Some pretty good looking DIY cloth diaper wipes.